The Future of Search: Human-Powered? On Wednesday, I attended a talk by Wikipedia founder Jimmy Wales (as part of the Free Culture @ NYU series I've been blogging about a bit). 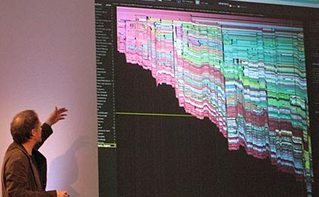 It was historic, in that it was the first public talk he's given on search. Why? Well, a little project that's been occupying the bulk of his attention - Wikia Search - has become quite public after an interview with the New York Times, and its resulting article. To build a free, democratic, transparent search engine. Search is a fundamental part of the infrastructure of the Internet, therefore of society as a whole. He believes that search should be three things: transparent, participatory, and free. It's a virtuous (not a vicious) cycle. More involvement --> fundamental improvement --> open code --> everyone can improve it. And so on. Next comes open (free) content. "What?! That will never, ever work! ", said such establishments as the New York Times, Financial Times, etc. Enter, for one, Wikipedia. You know, one of the world's most influential brands? 'Nuff said. Every other kind of book, work, or community that people might build. 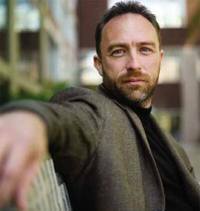 That's a talk that Wikipedia founder and Wikia Owner, Jimmy Wales, will be giving at the next Free Culture @ NYU Series on Wednesday, January 31st. I'll be there, for sure. Tim O'Reilly had a lot to say about Wikipedia at Google's Un-bound event, including its comparison to Britannica, in terms of relevance (imagine on a graph Wikipedia on a constant rise, vs. Britannica which is literally, flatlined). There's a reason Wikipedia is one of the world's most influential brands (right behind Google and Apple, and hand-in-hand with You Tube) ... and it has everything to do with free culture.